Ricoh devices are designed, manufactured and implemented with security as a core requirement. Security-focused thinking is present from the start in everything from product design to sales. It’s in our DNA — informing both our design philosophy and our commitment to work continuously to support our customers with solutions as threats evolve. Ricoh has been aware of the security issues surrounding Multifunction Printers for many years. As a market leader in Multifunction security, many steps have been taken to implement security features and functions to help protect your important information from threats, such as the alteration of electronic and hardcopy documents. Ricoh assumes a host of possible threats in every process throughout the lifecycle of electronic and hardcopy documents as they are generated, processed, stored, archived, and disposed. We develop and offer secure features and technology to protect electronic and hardcopy documents from threats without hindering the usability of our products or the productivity of our customers. For a wide range of our products, Ricoh has obtained certification based on Common Criteria (ISO/IEC 15408). Our security functions are verified by independent third party government-licensed laboratories to ensure security features perform correctly and conform to security standards set by government and industry. Our Customers can use our products with confidence made possible by independent testing and international standards. Information security threats are becoming more advanced and stealthy every day. 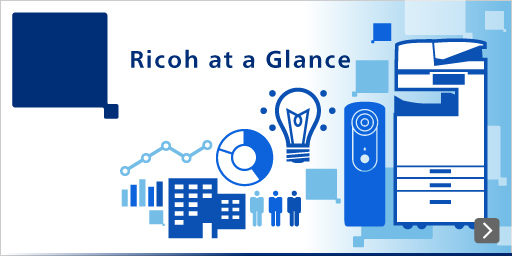 Ricoh is committed to offering secure products that protect your information assets and harmonize with your office environment and security policies. Ensuring security requires correct settings and implementation in your specific environment. Ricoh makes sure that customers recognize the importance of security, and supports them so that they can use our products with the correct security settings.